It is also the official colour of the anti-gun proliferation movement in the United States today. In 2013, a 15-year-old black girl named Hadiya Pendleton was fatally shot while in a park with her friends. Hadiya had just taken a final exam and was three blocks from her school. Two gunmen mistook the group of students as members of a rival gang and opened fire. The week before, Hadiya and her friends had performed as majorettes during the celebrations at President Obama’s second inauguration in Washington DC. With the help of Everytown for Gun Safety and their partners, June 2, 2015 – what would have been Hadiya’s 18th birthday – became the First National Gun Violence Awareness Day. And America wore orange. 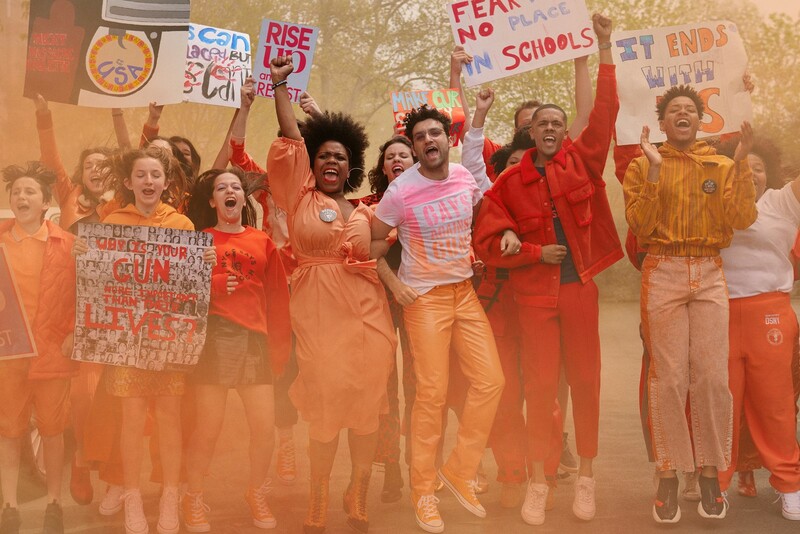 The Wear Orange campaign was endorsed by President Barack Obama and was a stunning success. 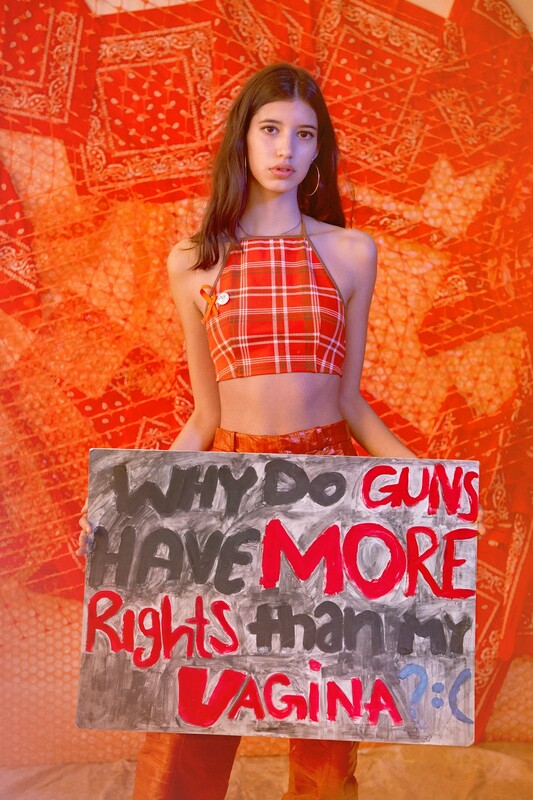 It’s hardly been three years and National Gun Violence Awareness Day – along with the colour orange – have been institutionalised by the movement. On February 14, 2018 a former student entered Marjory Stoneman Douglas High School in Parkland, Florida and murdered 17 people with a legally purchased Smith & Wesson M&P 15. Three days later, at a gun control rally in Fort Lauderdale, student survivors captured the country’s attention by speaking with eloquence, grace and emotion. A media blitz ensued around the students, particularly Emma González, who made memorable use of the term ‘we call BS’ in her speech. A movement was revived. The Parkland students called for a nationwide student walk out on March 14, a protest in Washington DC dubbed ‘March for our Lives’ on March 24, and a boycott of companies that partner with the National Rifle Association. It was estimated that nearly one million students from 3,000 different schools participated in the walkout. As #BoycottNRA trended on Twitter, major companies including Delta, United Airlines, Hertz and Enterprise severed ties with the NRA. The march on Washington DC was one of the largest single-day protests in US history, with more than 800 sibling events in different cities. Arriving in Washington DC that day, I could feel that something was different: a shift had taken place. A slight sense of resentment rose in me, quickly followed by an immediate stab of guilt: “Nobody showed up like this after Pulse.” (The shooting at a gay nightclub in Florida in 2016 left 49 people dead.) As someone who has advocated for gun control in recent years through my work with Gays Against Guns, the new sense of unity, optimism and determination was palpable. This solemn euphoria was effective and wonderful, but where did it come from? What had changed? Students, like Hadiya’s friends, have been organising against gun violence for decades. Why now, and what do we do with this momentum? I do not have the answers to these questions. 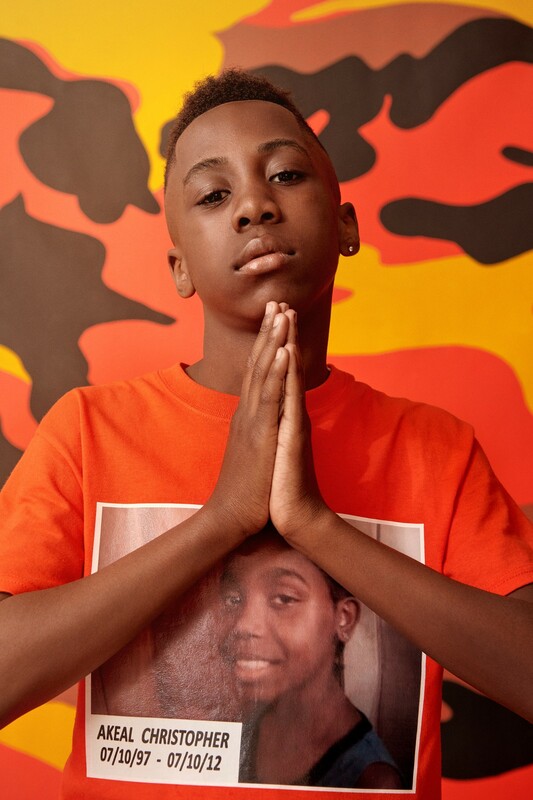 For this issue, Dazed assembled a group of young anti-gun violence leaders, from a range of backgrounds but mainly based in and around New York, who just might: people like 11-year-old Christopher Underwood, whose older brother, Akeal, was shot on a street corner in Brooklyn when he was just 14; 13-year-old Gideon Weiner, whose eloquent essay on why he walked out was published in the Washington Post; and groups like Teens Resist, NYC Says Enough and Students for Gun Control. For this conversation, we hear the perspectives of Brandon Wolf, a Pulse nightclub survivor whose two best friends were killed in the shooting; 14-year-old Sonia Chajet Wides, the founder of youth action advocacy website Teens Resist; Jewel Cadet, an anti-violence campaigner associated with Black Lives Matter who organises youth programmes with the Center for Anti-Violence Education; Nia Arrington, who organises with the Pittsburgh-based Youth Power Collective; and Ruby Noboa, a trans rights and race equality activist who single-handedly organised several high schools in her area to protest in front of the Bronx supreme court on March 14. From the orange-clad front lines of the fight against violence to the pages of this feature, I was excited to hear what they had to say. How did you all first come to be involved in gun activism? Sonia Chajet Wides: I guess I became involved during the March 14 walkout, as far as gun violence activism goes. I’d been involved in general activism and so I was asked by a few seniors at my school to help plan the walkout, following the shooting in Parkland. So I’ve been advocating for, and doing, broader activism and Black Lives Matter for a while, but as more of a participant. Jewel Cadet: I first got into gun activism (via) Black Lives Matter, organising with Black Youth Project 100, in 2015. For me, thinking about gun violence is thinking about police violence, and the violence that police have enacted upon black bodies specifically. Was there a particular event that prompted you to join the Black Youth Project 100? Jewel: It was something called Trans Liberation Tuesday. This was a big rally that happened in August 2015, (focusing on) the murders of trans women of colour, which often (involve) gun violence. Brandon: I got involved in June 2016, when I survived the shooting at Pulse and lost my two best friends. I spent that year as a surrogate on multiple political campaigns and got re-energised after the shooting in Parkland. Ruby Noboa: For me, it began in 2016 when a boy in my school was shot and killed. That was when I was first impacted by it. I started going to protests and organising certain things: Black Lives Matter, and some organising for trans women. What was the name of the boy who got shot in your school? Ruby: His name was JJ. 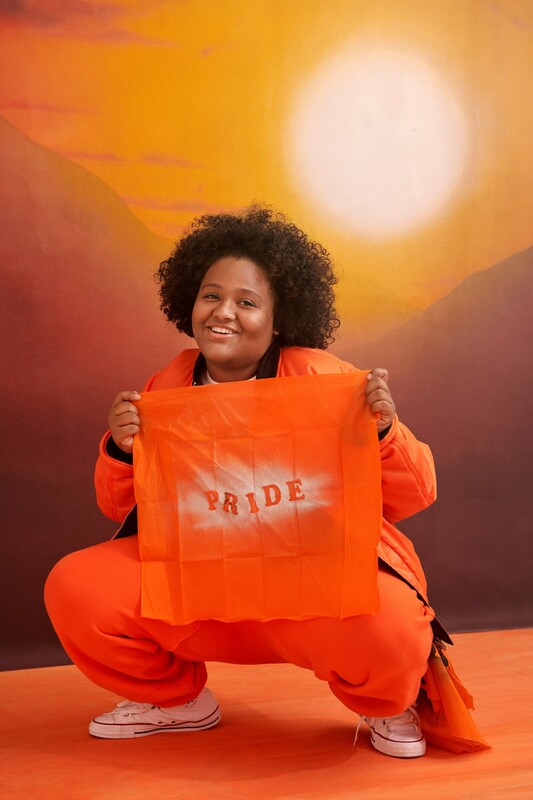 Nia Arrington: I got involved with gun-violence activism around freshman year. We did a couple of visuals for women of colour who had been murdered by police officers and also (women) in domestic abuse situations. We had different events – (like laying) flowers for the victims – and that’s where I started. For a lot of other youth, the gun violence activism has sped up since the aftermath of the Parkland massacre, and I think that’s when I became more involved. I started organising instead of being a participant, as Sonia was saying. I became a lot more active in this field of activism and organising around the March for our Lives and the Never Again movements. What do you think has changed in the general feeling and momentum of this movement in recent times? Ruby: To be honest, and I wouldn’t say this is an opinion, the difference now is that white people are involved. A lot more white people. I say that because Black Lives Matter was asking for the same thing, and students of colour had walked out for Black Lives Matter, and were immediately shut down or not listened to, or shown any kind of acknowledgement. But as soon as a group of white people does it, you know, it suddenly becomes really powerful and influential. And because it affects white people it’s a big thing; everyone is so passionate and involved now. I think there’s so much irony within that. Brandon Wolf: You know, I think that there’s validity to the idea that this being a different demographic of people impacted makes a difference. It’s a huge part of it. Logistically speaking, in Florida what is different is that legislators were in session this time around, whereas they weren’t when the Pulse nightclub shooting happened. So rather than being able to run home and hide from their constituents, they were actually forced to listen to these kids who came to Tallahassee and demanded change (students from Parkland descended on the Florida state capital in February). And then you have, you know, mid-term election year that sees our governor terming out of office. He’d like to be voted into a senate seat, so he has to look like he’s accomplishing something. So the pressure these teens were able to put on Florida legislators, and specifically on the governor himself, pushed change (to gun control laws) in the state for the first time in 22 years. The fact that we could even talk about gun legislation is in large part due to the timing of the shooting. And the kids’ ability to come to Tallahassee meant the legislators could actually hear them this time. I know there were some minor policy changes, right? Brandon: Yeah, there was. Some of it was significant. Prior to the laws that were passed, you had to be 18 years old to purchase some firearms and 21 to purchase others, (but) now it’s 21 across the board. There were several hundred million dollars put towards school resource officers and more money put towards mental health resources in schools – so there’s some significant change. But certainly not the level of change that the students were looking for. Jewel: I wanna echo Ruby’s sentiment, because I feel like that on a daily basis. I think that in this Trump era there is a lot of anti-Trump momentum, and a lot of people who are really upset with high-profile activism. And this type of activism is (only) high-profile because the media makes it that way – they pick and choose who they wanna give voices to. Black people have been talking about gun violence since forever – it just doesn’t look the same way. So it may not talk about school shootings per se, but the fact that police are in our schools, especially the New York City public schools, and that young people have to go through intense metal detectors to get into the building... When I was in middle school, I was what, ten years old, and I had to put my bag through the scanner system and get ‘wanded’ every day for three years. What that did to me as a young, black ten-year-old girl, knowing that I was just trying to get an education and I was being criminalised at a very young age... I’m from East New York, and I remember trying to get to my block a couple of years ago. It was seven at night, and there was a dead body in front of my house, as a result of gun violence. There was no media covering it, there was no story. When black bodies are murdered, slaughtered – you know, literally left for dead – the media pick and choose how they wanna narrate the story. Nia: Our government doesn’t give the right support to stop these things from happening. (Which means) economic support, because violence and poverty go hand in hand. When you make violence the hood’s economy, that’s what happens. Our government knowingly lets these neighbourhoods exist as impoverished, and lets people with mental health issues slide under the radar, and things never really get addressed. Jewel: Yeah. And as I’ve said, black people have been talking about violence involving guns since the beginning, even though it may not have been marketed as ‘gun violence’. Now I think that, because it revolves around schools, and because of the type of youth they are choosing to represent, they are making sure that people have specific talking points, that they look a certain way, that they speak in an eloquent kind of way. Sonia: Adding to what (the others) have said, I think it’s a combination of what Brandon spoke about – the legislators being in session, and not being able to hide from these kids – and also what Ruby and Jewel were saying about the fact that the media has covered (gun control activism after the Parkland shooting) so much more. All of those things were needed so that other teenagers were seeing these kids who were really making change and doing things. I think that kids being able to see that has made them feel a little bit less cynical about the effect that they can have. In a broader sense, there is a kind of optimism that comes with being a young person. There’s been some sort of revitalisation of this movement that’s been going on for quite some time, because gun violence has existed as long as America has existed. It’s very easy to get pessimistic about it. Coming in as this fresh new generation, we are gonna make a change, because our lives depend on it. This has brought a new kind of energy. What is the next step with this influx of energy? And what do you personally believe is the best solution here? 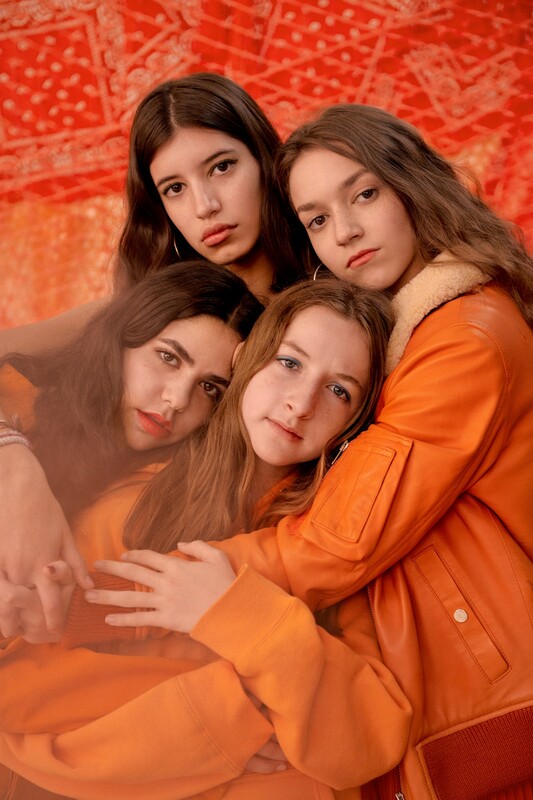 Ruby: To be honest, I don't feel Emma (González) and her group of friends are having the conversations that need to be had. They are not talking about urban gun violence or police brutality or the things that people of colour and queer people go through. Brandon: I love listening and hearing these different views and perspectives on what’s been going on. Two years ago, when Pulse happened, people weren’t fighting for my cause; it was the LGBTQ and Latinx community (most of the shooting’s victims were Latino) on their own, talking about issues around gun violence and access to mental health resources. There were people who didn’t want to talk to the FBI to get their payout from all the donations that came in, because their parents were undocumented, so we were talking about issues around not being documented. What I do want to caution anybody reading this is not to believe that, just because five people from Parkland, Florida have blue check marks next to their Twitter profiles, they’ve accomplished their goals. The reality is we don’t have comprehensive gun reform in this country. We have made absolutely no movement on the NRA, at all. Our legislators haven’t done anything. The people in Florida who put together this law still put in $400m to arm teachers. Which is a non-starter for most people. What I would love is if the story you put together talks about all the different experience, and the more we amplify everybody’s voices, the better off we’ll be. I think that the answer is comprehensive reform on all levels. We need to talk about police brutality. We need to talk about easy access to firearms; we need to talk about education in urban settings; we need to talk about access to mental health resources. All these things have to be part of a comprehensive conversation. Jewel: Yes. People become celebrity activists and then the momentum dies and we don’t hear about them. But for me it’s like, let’s erase that, let’s dismantle that, and uplift marginalised voices at all times. And if the conversation isn’t an intersectional one, then it’s not really a conversation. (We need to) centre on the most marginalised voices – not only black and POC communities, but black and POC queer communities who live on the margins of the margins... not just go to someone that has a larger platform. (It’s not about) getting glammed up to talk about this stuff, (with) a couple of hundred thousand people (listening) – it’s about smaller rallies with maybe a hundred people that are still super-valid. We need to focus on grassroots organising and uplifting those voices. Sonia: Things won’t just end if there are laws passed, particularly in marginalised communities. And things won’t just end if only better mental health resources are brought in. Things won’t just end with any of this. There’s a lot of different things that need to happen, and I don’t think that there needs to be a set protocol for any of it. What Brandon said is right about this idea of division. Obviously, I’m not black, and so I do not know what it feels like to go to these rallies and feel like my voice is not heard. But my hope for this, as far as organising within high schools or teen communities goes, is that, because many of us are similar ages, people will feel like this is a movement where they get to come in and decide how it’s gonna be. It’s all so new and there aren’t necessarily all these older, more weathered hierarchies, (so there is) room for someone to come in and say, ‘You have to listen to what I’m saying.’ I think the best way to go about this is for every single person involved to acknowledge all the different aspects of it. And I think that particularly needs to happen in the upper classes of society, where there are white people who have all this privilege. And if it’s the case that white people get more media attention than (they should), you know, use that privilege for uplifting black voices. 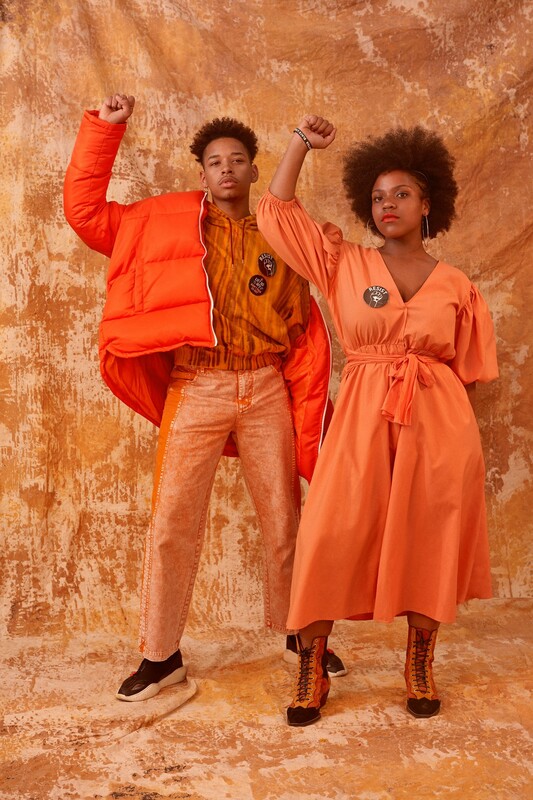 Nia: I think it’s an interesting moment that we’re in, because with every movement there’s been in the United States, there’s either been total unity, or (division), a lot of different sides, and that’s how things don’t get accomplished. And something I see that is different, at least with my generation, is that people really are trying to be intersectional, and help everyone be involved and have a voice at the table. (But) there are also people that have been getting caught up in the fame of it, or have built a personal platform that’s benefitting from the movement. We have to make it a movement that isn’t only social media-based. (That should) just be the base of the movement because, truthfully, hashtags aren’t going to change gun laws at all. That’s not going to make the governor decide something different. I think we have to become more radical moving forward, and we definitely have to unify and realise that this isn’t just a moment in history, it really does have to be a movement. So when I say we need to radicalise or intensify our approach, I mean things like occupying people’s offices until they agree, or until they say they will release documents of how much money these senators are receiving (from the NRA). There are people in my local community and students I met from Parkland who are beginning to document every single student story, and things like that. We have to connect police violence with gun violence. With the momentum in my community following the March for our Lives, I called the same 300 kids I’d brought with me to DC and asked them to come with me to Oakland and protest for a man that was shot in our city by the Pittsburgh police. We sat out and blocked traffic, and a lot of those kids I’d never seen at a Black Lives Matter rally before. We have to do things that are actually going to flip the script. No more hashtags, it’s time to seriously organise. If we could get every student in every major city to do a sit-in at their local senator’s office, that’s the type of thing that’ll make international news and make waves around the country. Ruby: I also wanna point out that this whole student thing is good, you know, they are doing a great thing. But I won’t always be a student, (whereas) I will forever be a person of colour. And the media need to be talking about the important (subjects) – they are not mentioning police brutality or urban gun violence, or the amount of unregistered guns that are in our cities. Especially that unregistered guns are pawned into our communities because of that gun regulation. Nia: That the government put there. Ruby: Yeah. It’s just irritating! And you know, there’s always gonna be someone who’s like, ‘Oh, but all lives matter!’ And it’s like, that’s not what I’m saying. All lives matter, yes, but all lives matter is a protest against Black Lives Matter. Because black lives, and people of colour, are disproportionately targeted. And they also talk about black-on-black crime, but black-on-black crime is not a thing. When a black person commits a crime on another person, it’s because that person was there. Not because of the colour of their skin. When a cop commits a crime against a black person it is almost always unjustified, but they get away with it because it’s legalised murder. I go to school in the Bronx, and when I leave the gates it’s a completely different environment. We live in a literal war zone. Nia: I realised that only happens in schools in urban communities, these pat-downs and bag inspections, the metal detectors – just to enter a place that you’re supposed to feel safe in. I definitely think it isn’t talked about a lot. All the people supporting the arming (of) teachers or adding more resource officers to our schools, or putting armed guards inside schools – like, are you kidding me? When police already murder people on the regular?! You’re gonna put them inside our school now to target us as well, when we’re already targeted by the current school security guards that aren’t even armed? That directly contributes to the school-to-prison pipeline. It’s not fair that people are pushing for these things and not realising that, yeah, you guys might wanna push to make schools more safe, (instead of) putting the police here to help (when) they don’t even do that. I think when we talk about this movement of school safety we are definitely thinking about how to keep white rich kids safe. We’re not thinking about how to keep Jamal safe, we’re not thinking about keeping Deandre safe. It’s about these kids that have the money to fund the governors, who want to support things like this. I’m 27, and without question you all display far more knowledge than I had in high school. Can I ask why you think that is? Jewel: When I was in high school, 9⁄11 happened. And that’s the first time I learned what a terrorist was. What I’m saying is, youth nowadays are able to understand things on a deeper level, mainly because they don’t have to just rely on what they learn in schools – they can go on Google, they can do their own research, and realise, ‘Oh wait, this is messed up’, and speak out in a way that other generations didn’t. I think also the violence me and Ruby were talking about is being showcased on social media – you literally see videos of police officers killing unarmed black people. Whereas that’s not something people were able to access ten years ago. So I think that you can’t lie to youth nowadays. You can’t shelter youth, you can’t put youth in this, ‘Oh, you know, you go to the back room, you don’t have to hear this conversation.’ Kids as young as pre-school know what’s happening. Brandon: I think that’s a really important point. That really goes to what’s next, right? The prevalence of media, especially social media, has completely changed not only the way that people access information about violence or understand the issues, but also their exposure to people who identify differently from them. I think back in 2001, 2002, people who were in high school in Parkland, Florida would never have come in contact with students in NYC, Chicago or Detroit... They never would have interacted with them. What’s next for us has to be that we leverage this momentum, leverage social media and this all-inclusive world of Google, Twitter and Facebook, and empower voices that haven’t been heard yet. I guess my advice to those people in a place of privilege would be to open it up and listen to those voices. I would love to see these activists, like Emma (González) and David (Hogg) and Cameron (Kasky), open up listening sessions, to understand what’s happening around police brutality and gun violence as a whole in this country. 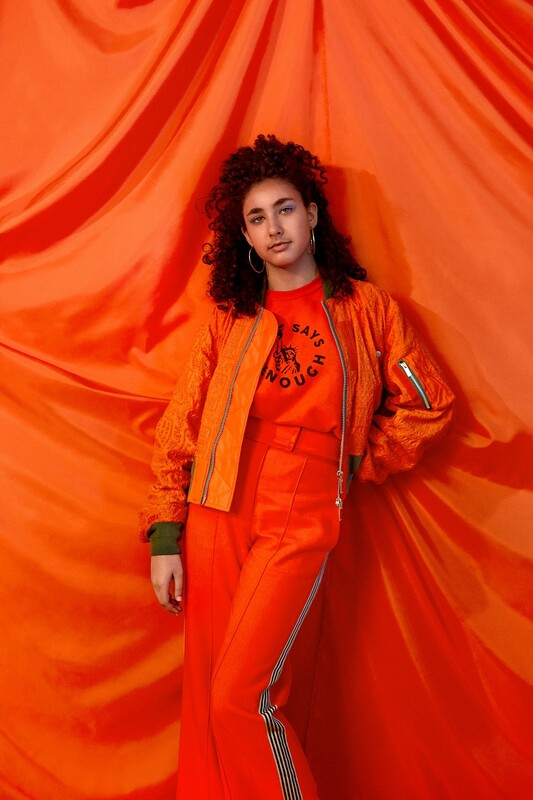 Sonia: I’m a freshman at high school, and in the school I go to now, there are kids from all over New York City, but the middle school I went to was majority-white in a pretty privileged neighbourhood, and so I wasn’t hearing voices like Ruby’s or Nia’s in my classes. And social media, when I was in eighth grade, is how I was able to learn about all these other people. Obviously, I’m not done learning and I’ll never be done learning, but the idea that I have Instagram and Twitter to see not just videos of things that are going on but also voices of people of colour, people in different conditions than (my own), I think has been really influential for me – and is influential to teens everywhere. Is there anything else you would like to say? Any final thoughts? Brandon: I think this piece has a unique opportunity to acknowledge the disparities in the gun violence prevention movement. To acknowledge its complexities, but also to reflect on the power of potential unity. If the country could unlock the intersection of these communities being impacted by gun violence... we would be unstoppable. The solution to this problem will be found in our ability to unify communities, lift up unheard voices, and stand together to take on a deeply corrupt and violent system.